Samsung and Microsoft are seemingly in a race to launch the first truly usable foldable phone. Apple might release a foldable iPhone by 2020. Lenovo-Motorola has already shown off one working concept. And one of the biggest Chinese brands, ZTE, has amazed the world with the first dual-screen phone available for sale right now. This trend could be the biggest smartphone innovation in years, finally adding a “Wow!” factor that has been missing in mobiles since the first iPhone in 2007. Think about it: Imagine an iPhone that stretches out into an iPad! So how long will it take for this to happen? How far are the companies from actually bringing this technology to the market? Let’s take a look at the upcoming world of folding phones, and the one handset that is already available. Use a bendable screen and flexible circuit boards that fold or stretch as required. Use two or more screens connected at the seams, like a multi-monitor setup. Right now, the two-screen model is already available in a phone made by ZTE. It uses traditional smartphone components, while adding a second screen that extends the primary screen. Meanwhile, manufacturers have figured out how to make bendable displays and even demonstrated them. But to turn this into a phone that regular people can use is still a work in progress. As for flexible circuit boards, those are much more realistic today. You can easily pick up a flexible PCB for your own projects. Right now, the rumored Samsung Galaxy X has the best chance of being the first truly usable foldable phone. Samsung is currently the world’s largest manufacturer of OLED displays. Plus, it has already made and demonstrated flexible OLED screens at trade expos. It’s not surprising that Samsung is at the forefront of foldable phones. After all, it’s created four generations of Galaxy Edge phones since the first Galaxy S6 Edge. These devices pioneered the bending screen, and a foldable display is a natural extension of the technology. It is as tricky to make the foldable display into a touchscreen display, but Samsung showed it has mastered this in demonstrations at CES and Mobile World Congress. The largest size screen demonstrated was 4.5 inches. 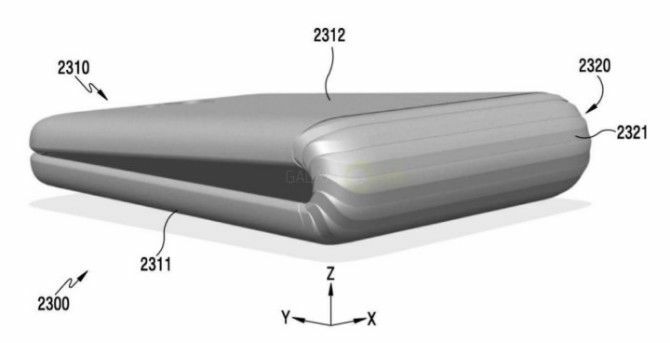 So far, Samsung’s patents suggest a phone that folds in on itself rather than expanding the screen size. But these are only the patents that have surfaced so far; the company is likely to work on a handset that increases the screen estate. The head of Samsung’s mobile business, DJ Koh, has confirmed the company is making a bendable phone. Multiple news reports have suggested that Koh and his team want to fine-tune the user experience before releasing it. Thus there are few details available about the Samsung Galaxy X, with new reports suggesting it will cost upwards of $1,800. Importantly, even the release date isn’t confirmed. The most trusted rumor so far is that Samsung will unveil the Galaxy X at Mobile World Congress 2019. But take these rumors with a pinch of salt; they are rumors after all. Surface Phone “Andromeda”: Microsoft’s Comeback? The other rumor going around is that Microsoft is launching its own foldable phone. It goes by two code names: the Surface Phone or Surface Andromeda. According to Thurrott, the device is scheduled for release in 2018. That said, I wouldn’t put too much stock in these rumors. Companies file patents all the time, and only a fraction of them end up becoming real. The Surface Phone would be great, but remember, Microsoft has killed Windows Phone. So if a Surface Phone launches, it would presumably run Android. A few nondescript companies have shown off foldable phones for some time, but the dream became real with the ZTE Axon M. ZTE is a giant in China, and has been expanding to other markets in recent years. The Axon M is a functional phone that you can actually buy today. Its second screen sits on the back, and flips out to connect to your main screen with a satisfying click. With that, you get a dual-monitor setup on your phone. You can use the two screens in tandem, so the image extends across both. Otherwise, you can use separate apps on each screen. As the above video shows, certain apps make smart use of the dual screen, such as watching a YouTube video on one while reading the comments on the other. Both screens can show the same video too, so you and a person sitting across from you can watch the same movie. With the Axon M, ZTE is innovating on the software front rather than hardware. You will see a small bezel between both screens, so it’s not a seamless display. But with software that makes two screens truly useful on a phone, the Axon M is a winner. The ZTE Axon M is only available from AT&T in the US, and costs $725 from AT&T or Best Buy. You can also purchase it between $666 and $866 on AliExpress. We recommend familiarizing yourself with AliExpress and reviewing our tips for safe shopping there before making any purchase on AliExpress, though. The other handset demonstrated so far comes from Lenovo, which showed off a flexible phone at CES 2016 called the CPlus. The cool part? It bends to wrap around your wrist like a watch. The most impressive part about the CPlus is that the whole phone bends, not just one part of it. This means Lenovo has figured out ways to make a functional phone that bends, while still using rigid parts like batteries. But the CPlus remains a concept, as Lenovo hasn’t uttered another peep about it. Don’t expect this to come to stores before the Samsung Galaxy X. 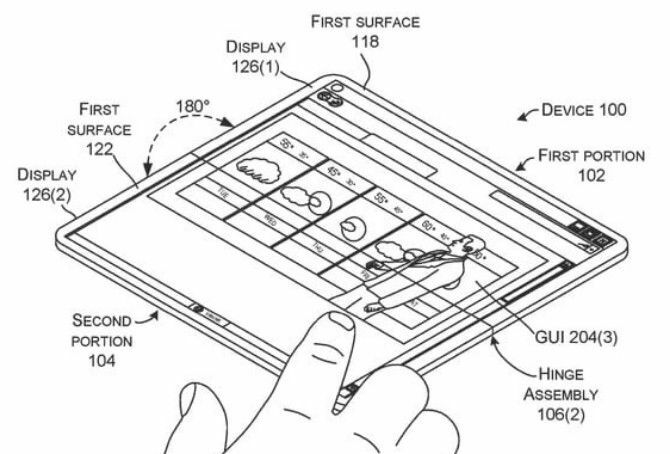 What About a Foldable iPhone-iPad? And finally, the big question. Will we see a foldable iPhone? If you believe Bank of America Merrill Lynch, then you’ll see one by 2020. “Our checks also suggest that Apple is working with suppliers on a foldable phone (that potentially could double up as a tablet) for launch in 2020,” the bank told its clients, according to CNBC. 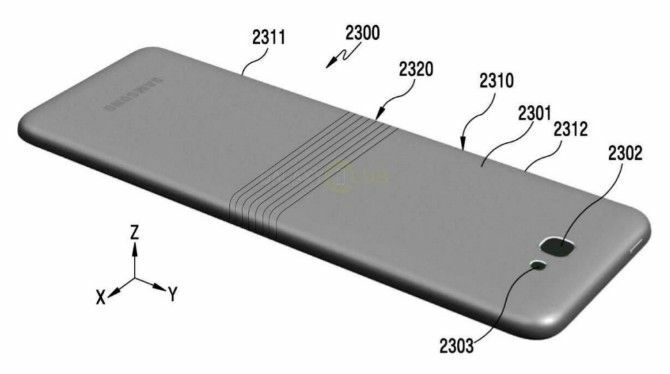 This seems to indicate that it would be an iPhone that folds out into an iPad, which could actually make the tablet useful again. Right now, you can get the foldable screen experience with the ZTE Axon M. But true bendable, folding phones seem to be at least a year away, and probably won’t hit the mainstream for two more years. So while you wait, your best option is an edge-to-edge display phone like the iPhone X or its alternatives.